These will be the very best roasted Potatoes you have ever tasted. So simple yet so special. Potatoes, Guanciale, Salt & EVOO. If Guanciale is unavailable Pancetta is a worthy substitute. 1. Drain & dry the Potatoes on paper toweling. 2. Add them to a mixing bowl with Salt, Pepper & EVOO. Gently toss to combine. 3. Place them in an oven proof casserole dish in a single layer. 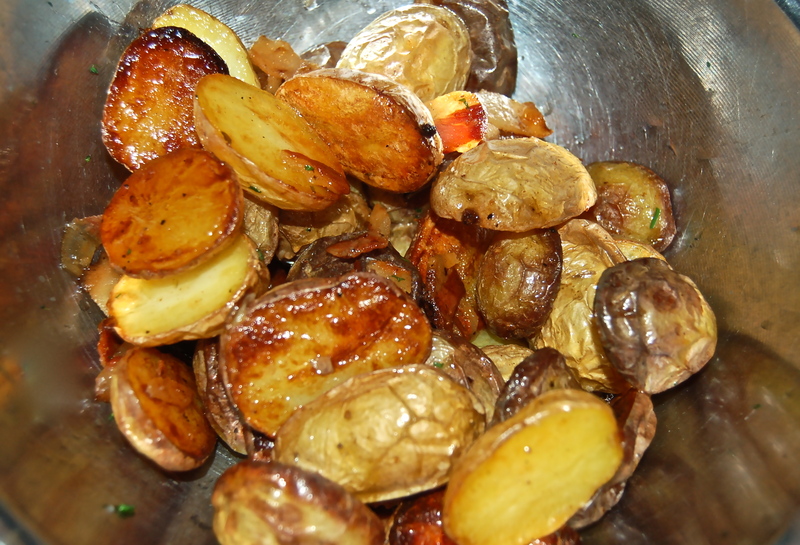 Roast for about 30 minutes or until the skin is wrinkled & the Potatoes are tender & browned.